Our experienced and dedicated team have many years of experience providing on-site stores management. We have experience of handling over £1,000,000 of engineering products and services a year. As a specialist stores management company, we will take the stress out of ordering, stock control and budgeting. We guarantee to price match up to date prices and make cost savings where possible. We provide weekly budget tracker reports to enable spend to be kept under control. Additionally, we will give cost reports on individual machine spend, in order to offer advice on whether new machinery should be purchased. By providing energy saving reports we will look at how to keep your energy costs to a minimum. 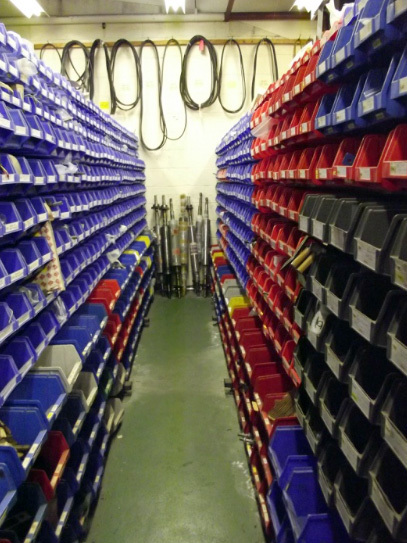 Organise stock rooms and maintain stock levels managing the whole process from raising orders, receiving and registering goods on a computerised system and labelling and storing for quick retrieval when needed. 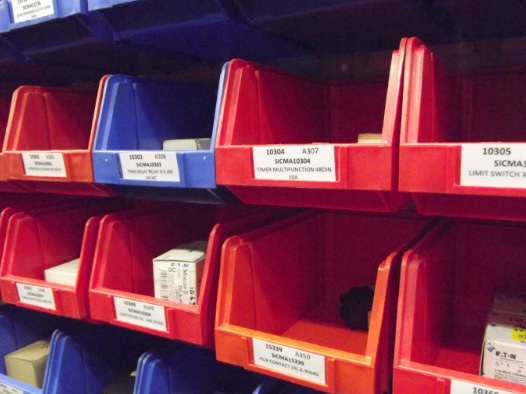 By clearly labelling machines we ensure stock and maintenance spend is allocated to each specific machine. Provide a full health and safety risk assessment including a comprehensive assessment of designated walkways, correct signage, staff training and appropriate PPE equipment. Energy efficiency can save your company a great deal of money. We will provide and organise all reports to show potential savings by changing to energy efficient methods. Our report would include areas such as the use of compact fluorescent tube lights with lower capacity, replacing damaged bearings/bushings to improve energy efficiency, minimise the use of belts in factories. Once stock levels have been addressed we will provide an efficient and effective barcoding system. Using hand held barcode machines, items required can be scanned to save time booking out and stock taking. We will provide an effective budget tracking system. With an agreed budget in place, we will manage the budget with regular reports identifying expenditure in specific areas and suggested areas of savings, ensuring your company does not over spend. Above all, we will take the stress out of managing your stores. If you would like to discuss how we can help manage your stores and make significant savings and improvements on efficiency please click here to contact us.